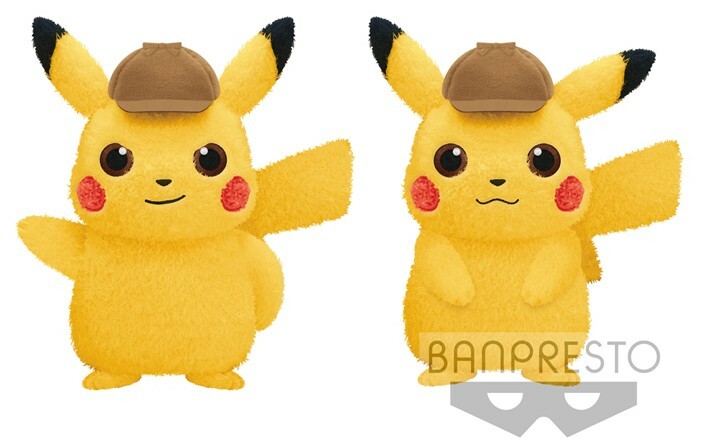 Images of Banpresto’s May 2019 prizes have appeared on online marketplaces. 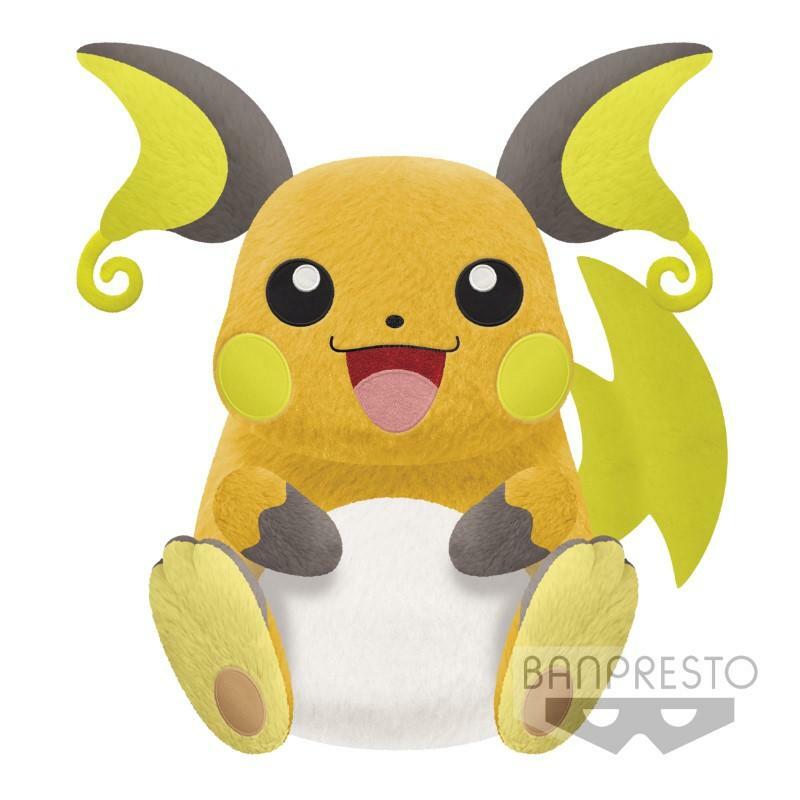 Here’s the overview of all upcoming prizes in May! 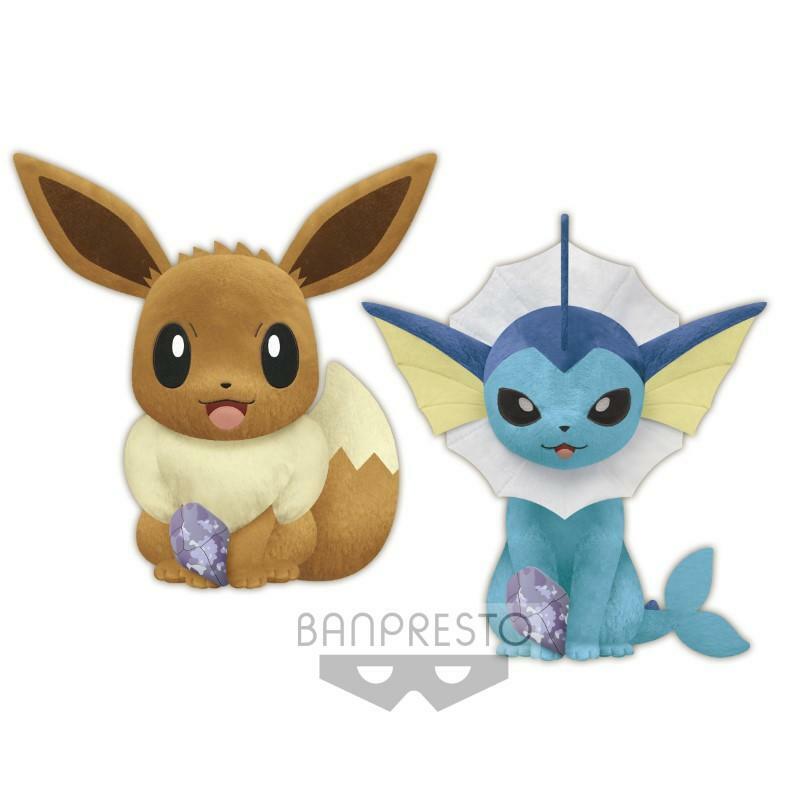 Pokémon Focus Evolution Stones: Pokémon Focus will be getting a new series called “Evolution Stones.” The first releases in May will be standard size Pikachu, Raichu, Poliwhirl, and Poliwrath, and large size Eevee & Vaporeon. 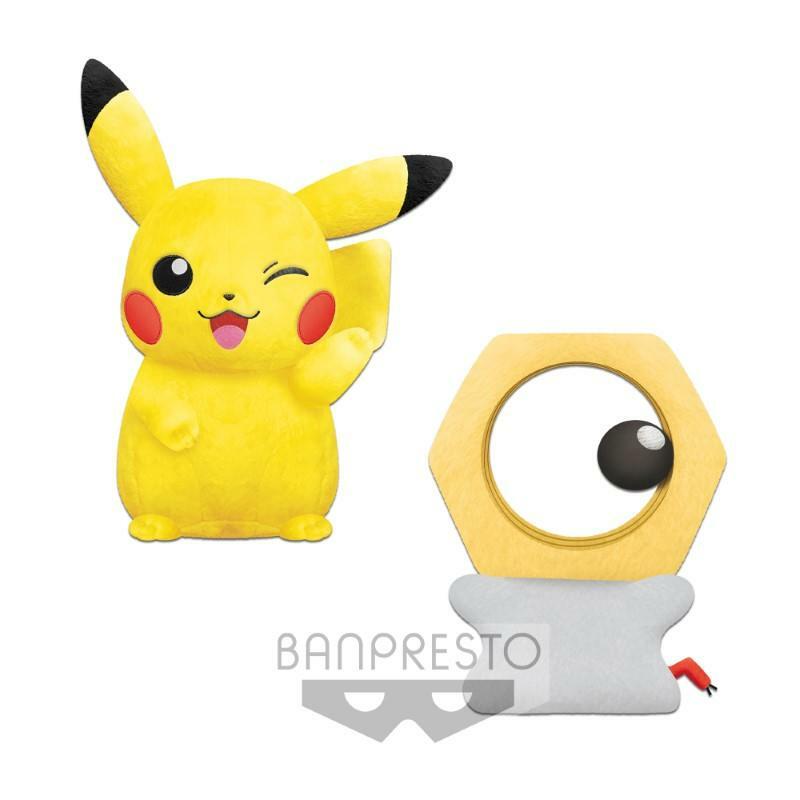 Meltan’s First Plush: Meltan will be getting its first ever plush in May, together in a set with a winking Pikachu. Both are approximately around 24cm. 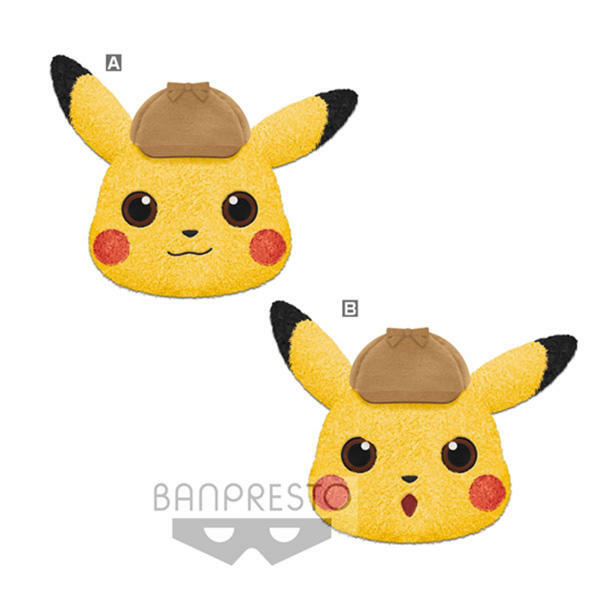 Detective Pikachu Merchandise: Banpresto will also be releasing their first Detective Pikachu prizes. 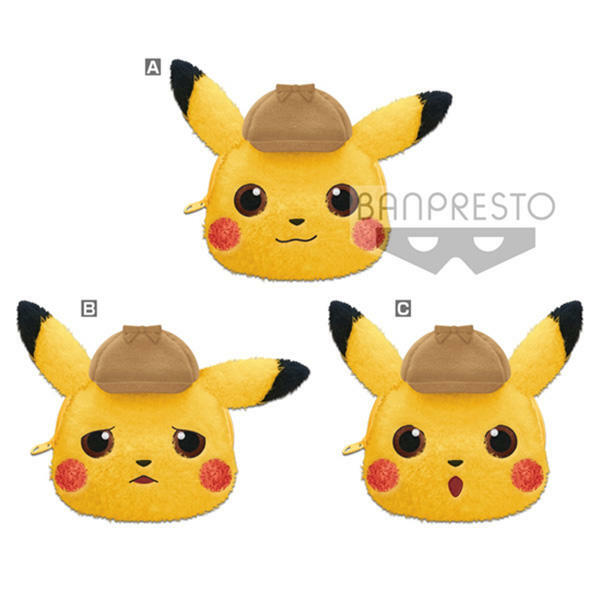 Face-shaped pass cases & cushions, as well as 23cm plush, are expected in May. 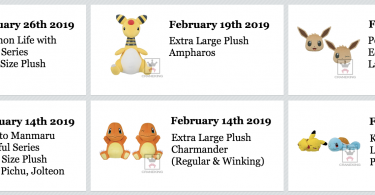 Extra Large Plush Raichu & Lapras: Two new extra large plush are expected in May, a 31cm Raichu and a 35cm Lapras. 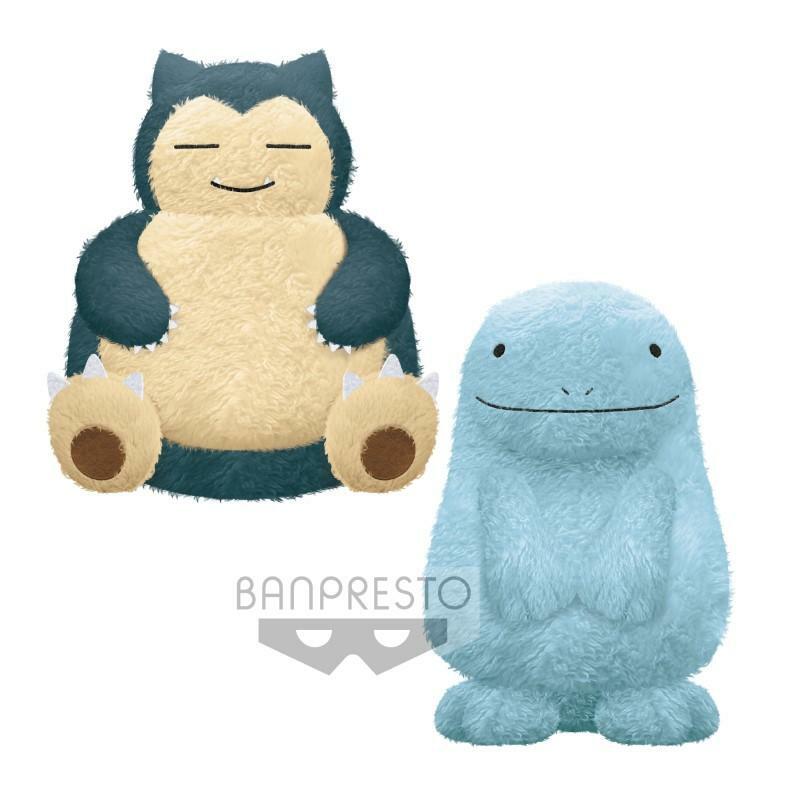 Super Soft “Hokkori Iyasare” Series: The extra soft and cuddly Hokkori Iyasare series (which so far includes Mareep, Rowlet, Torchic) will be getting 27cm Snorlax and Quagsire plush. 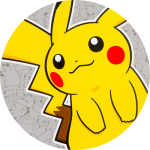 An exciting addition for Quagsire fans!! 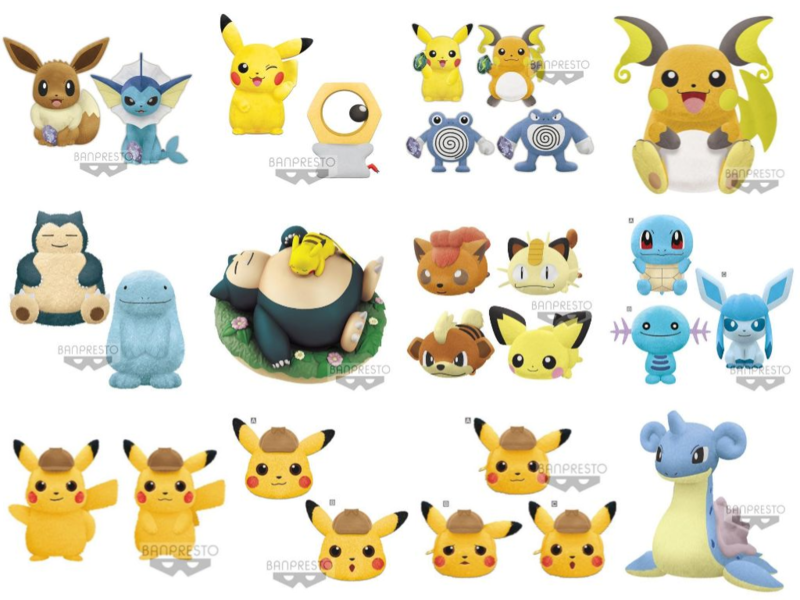 Kororin Friends Minis Series Two: The Kororin Friends Minis series will begin in April with Pikachu, Psyduck, Ampharos, & Lucario, and continue in May with Vulpix, Meowth, Growlithe, and Pichu. 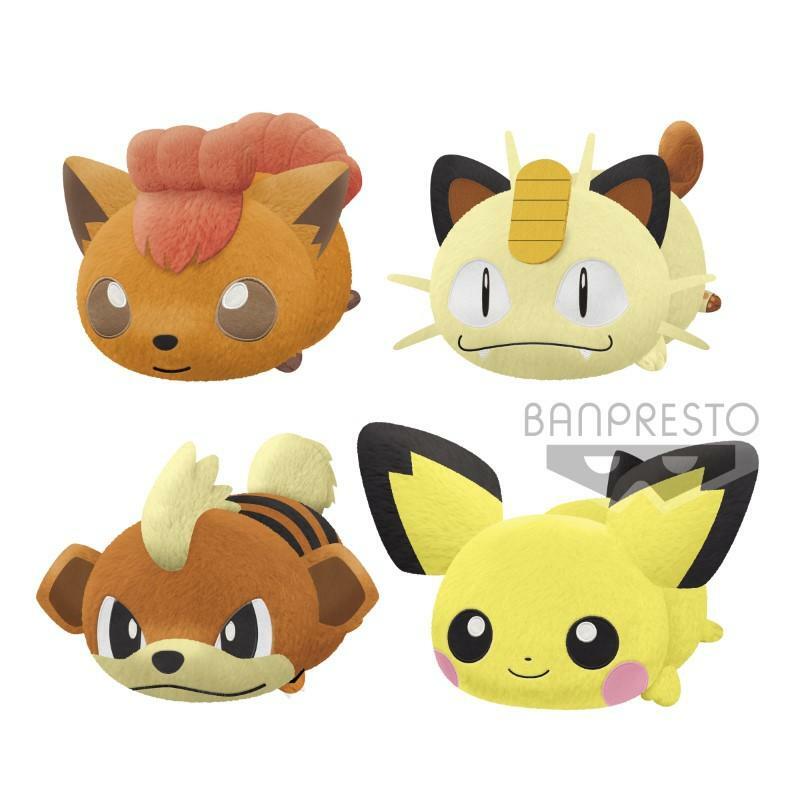 Kororin Minis are palm-sized plush at approximately 9cm. 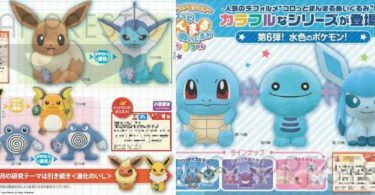 Korotto Manmaru Colorful Series Light Blue: The Korotto Manmaru Colorful Series will be getting its 5th installment in May, following the green, orange, yellow, blue, and purple prior releases. 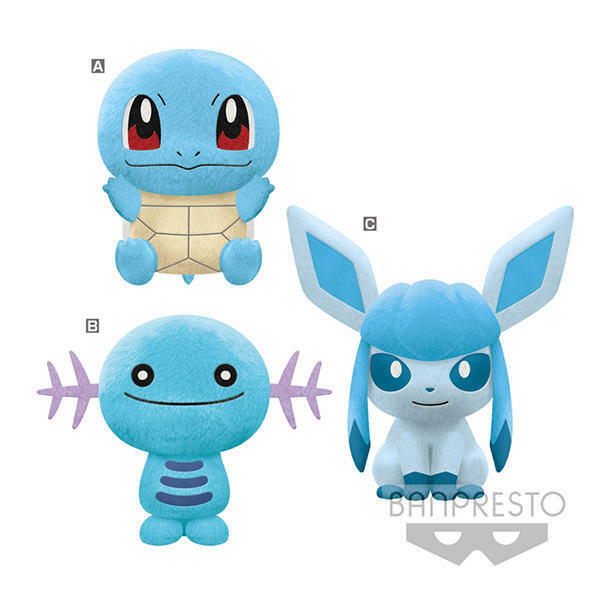 The “Light Blue” set will include Squirtle, Glaceon, and Wooper, and the plush are approximately 24cm. 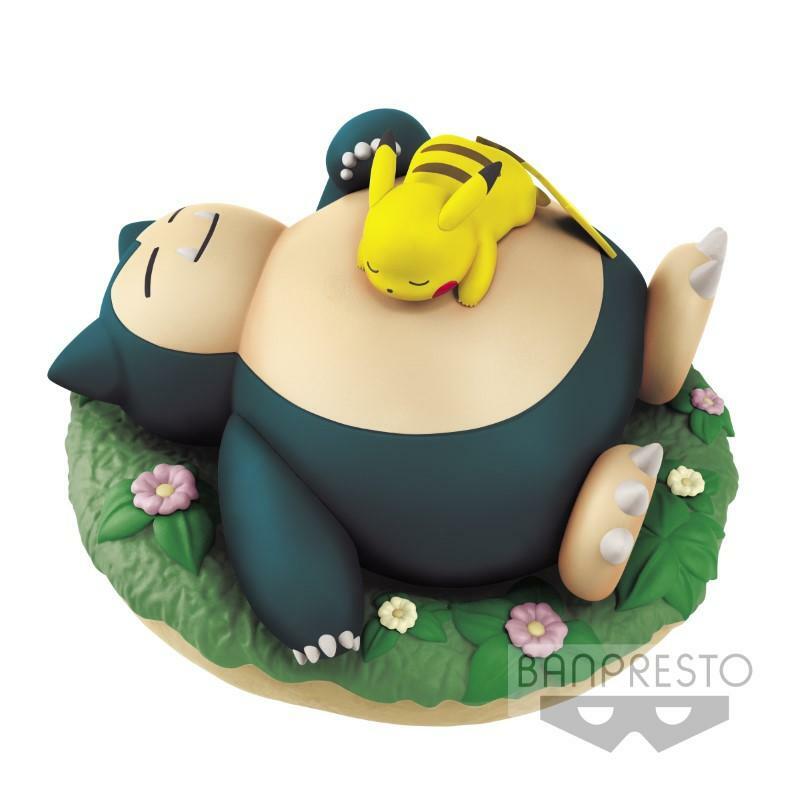 Sleeping Snorlax & Pikachu Prize Figure: Finally, a new prize figure! 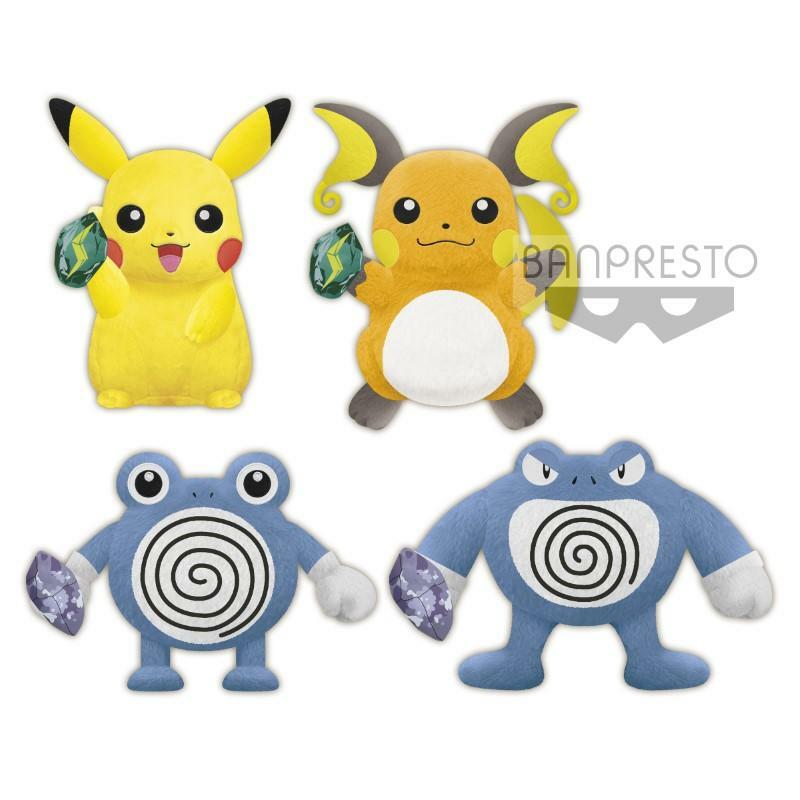 Banpresto will be releasing a figure of Snorlax & Pikachu in May, expected to be about 14cm across. 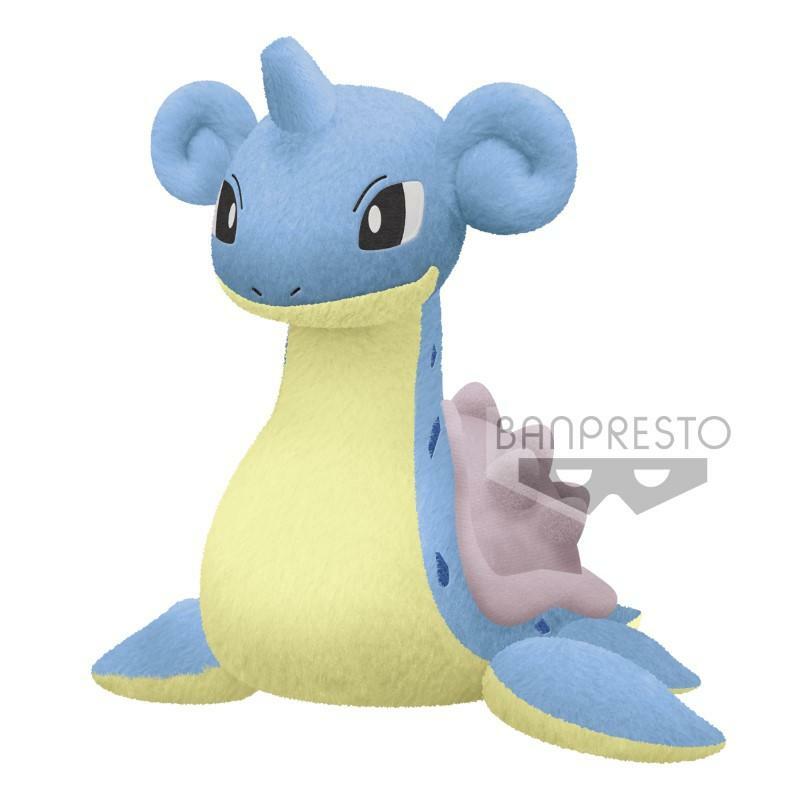 As always, stay tuned to Pokécollective for news on upcoming Banpresto prizes in 2019 — and be sure to follow our Twitter for the most up-to-date announcements!